If you’re moseying around town today, you may find yourself wondering what that green golf cart is doing zipping around the peninsula and stopping in on local businesses. Not to worry, it’s just a few of our Tabbuli team members delivering a very important surprise. The surprise? A reusable (and essential) plastic cup. The purpose? 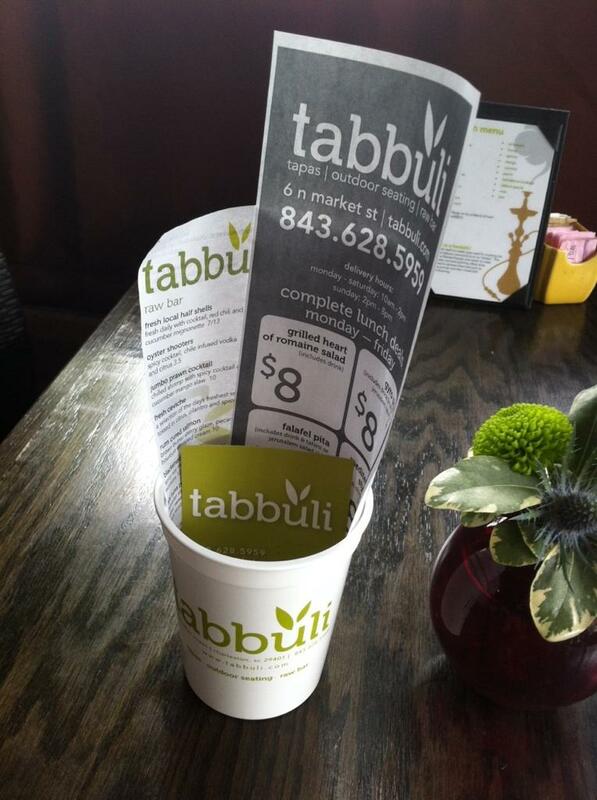 Simply bring your cup into Tabbuli on Monday through Friday between 11am and 3pm, and you can have yourself one of six lunch selections (Grilled Heart of Romaine Salad and Falafel Pita to name a few) for a mere $8 (tax not included). “But what if we didn’t get a cup?” you ask. Worry not, friend. Simply stop by Tabbuli and pick one up today. We can’t wait to have you over for lunch!